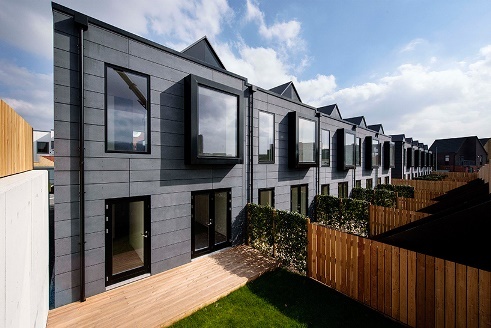 The construction industry is turning more and more to offsite construction methods and the trend will become even more popular in the future. The main reasons behind this are the tighter build programmes, higher levels of cost control and skill shortage that the industry is currently facing. With the implementation of the ‘Construction 2025’ strategy, government addressed the challenges the UK Construction Industry have been facing and put strategies in place to meet the demands of the industry. This document emphasises on addressing the skills shortage, building quicker and cheaper whilst reducing CO2 in the built environment. 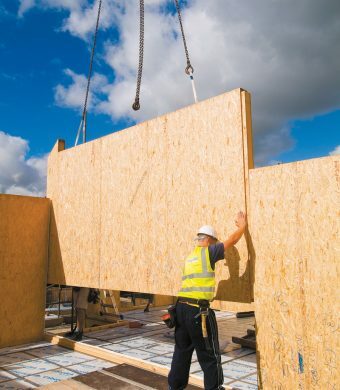 In this blog article, I will provide you a better understanding of offsite construction: what it is, how it can be of benefit and what solutions it can provide to match with the demands of ‘Construction 2025’. 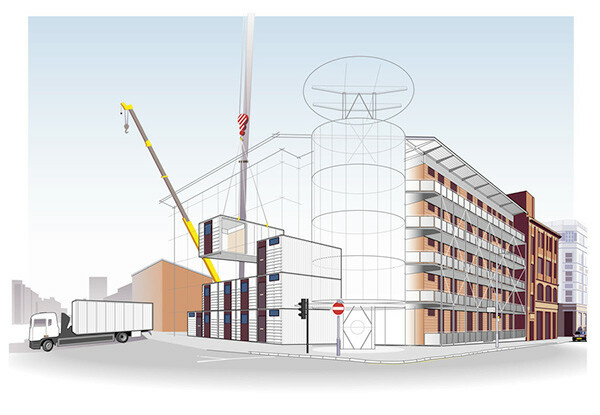 Offsite construction refers to structures or components built at a different location than the location of use. 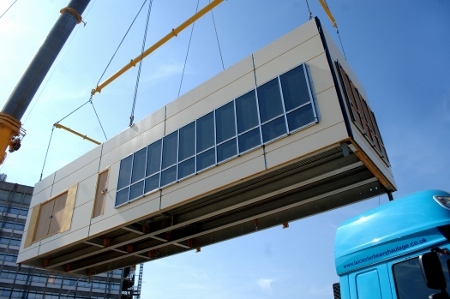 Offsite construction occurs in a factory specifically designed for this type of process and individual modules or components of the building are constructed in the factory and then transported to the site. 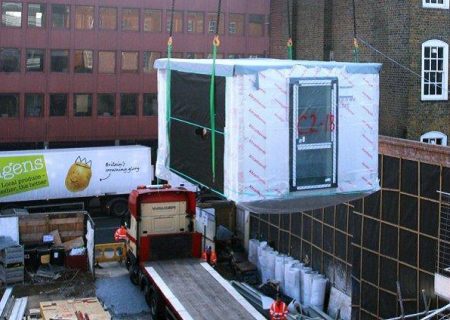 Volumetric/Modular Systems – Whole or parts of the building are built offsite and transported to site. Minor finishing works are completed on site such as joining M&E, wall finishes and completing roofing joints between each module. This approach allows extremely quick site installation times but has limitations on design and size due to transportation restrictions. 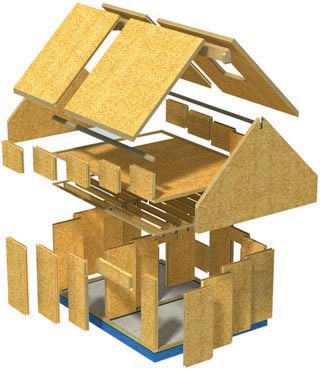 Structural insulated panels (SIPs) are a high performance building system for residential and commercial construction. 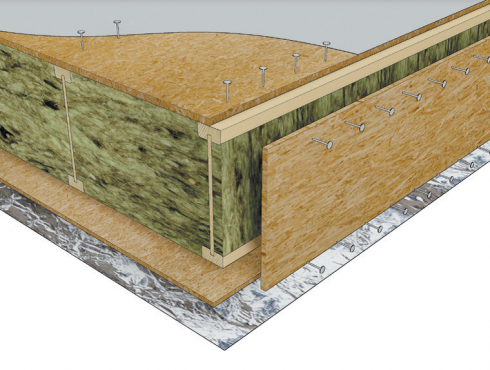 The panels consist of a core of thermal insulation sandwiched between two structural facings, typically oriented strand board (OSB). SIPs are manufactured under factory controlled conditions and vary between standardised panel sizes to bespoke units. 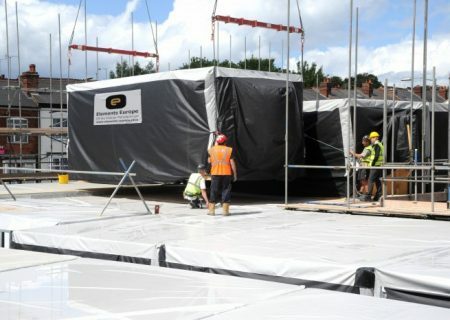 This offsite fabrication assures that the weatherproof building shell can be completed just a few days after the ground works are ready to receive them. 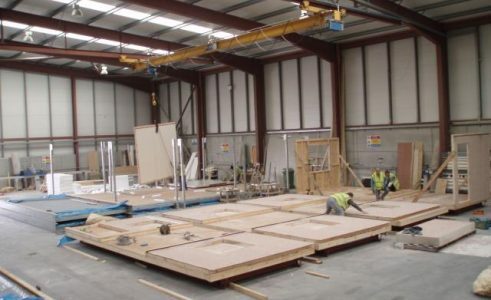 Pre-engineered M&E Services – Whole plant rooms can be constructed offsite and installed as a completed unit in the building allowing less construction time on site. 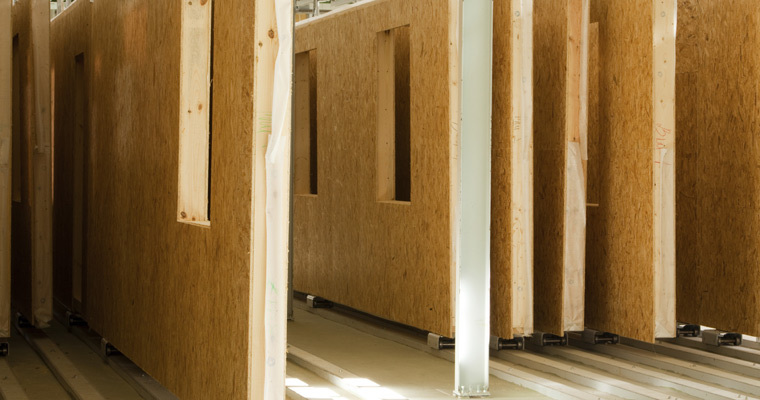 Pre-assembled Components – This method consists of taking materials that would be installed individually on site and pre assembling them in a factory environment to form a larger scale unit that can make site installation quicker. 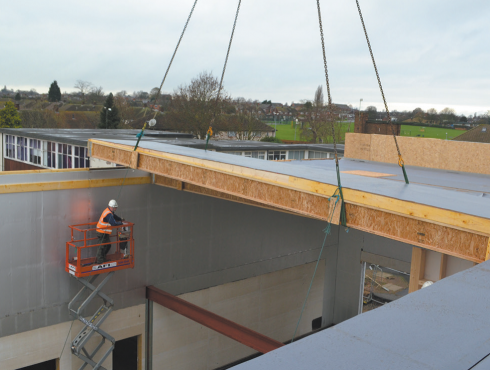 IKO Polymeric has been involved in the offsite industry for many years in different ways using our high performance single ply membrane systems. We can supply bespoke preformed details to assist the roofing contractor with a fast and high quality installation on complex detailing. Click here to find out more. 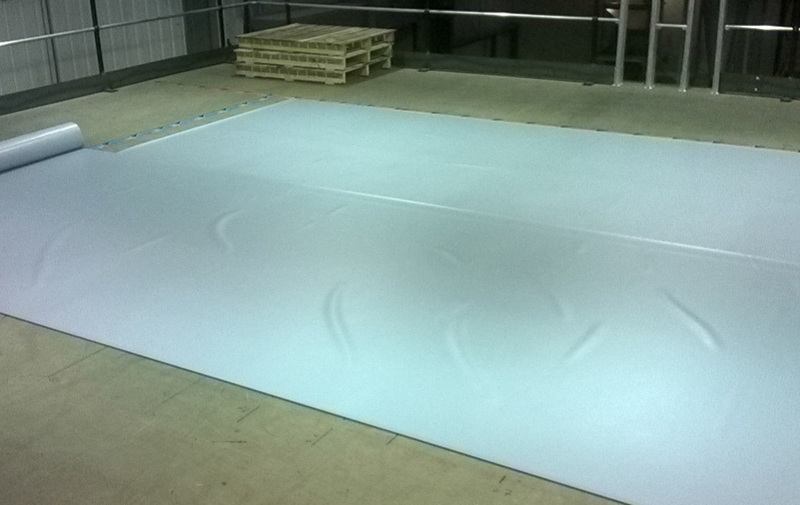 They consist of bespoke roofing sheets of membrane pre-welded in our factory to suit the roof dimensions. 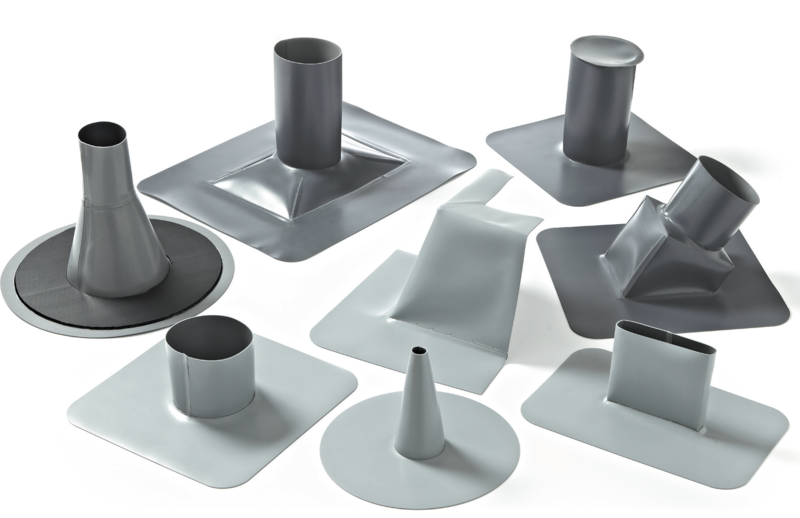 These can be either temporary or permanent roof coverings for both adhered and mechanically fastened roof systems. These bespoke roof sheets drastically increase the installation speeds on both large and smaller modular projects. Volumetric units also negate the need for fully skilled operatives to hot air weld the roofing products. Click here to find out more. 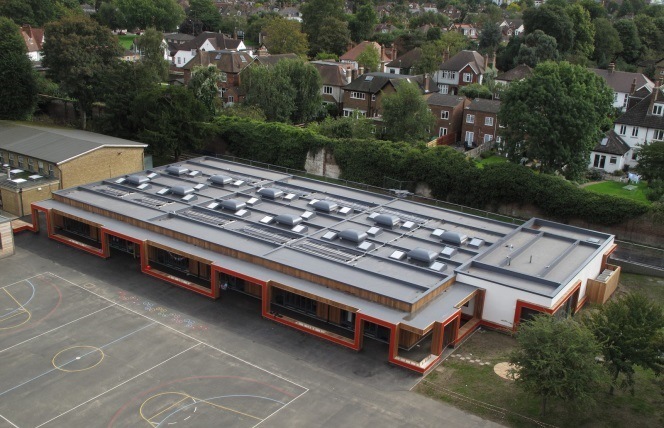 We recently won the SPRA 2016 Innovation Award for our Parish School Project with our approved contractor Module AR Ltd. Preformed roof details and prefabricated large format bespoke roof sheets were both used to supply this offsite build project. Thanks to the fast installation, the whole project was completed in 16 weeks, ready for the school to occupy the new facility in September 2015. 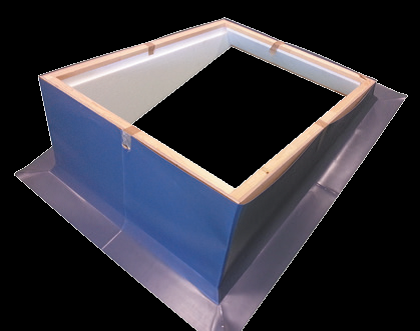 IKO Spectradek is a single component, factory pre-engineered roof deck, comprised of a high performance single ply TPE waterproofing membrane with insulation and a trapezoidal steel deck. The panels speed up a flat roof installation as it is an all in one install rather than the traditional deck, VCL, insulation and membrane approach. Click here to find more about Spectradek. 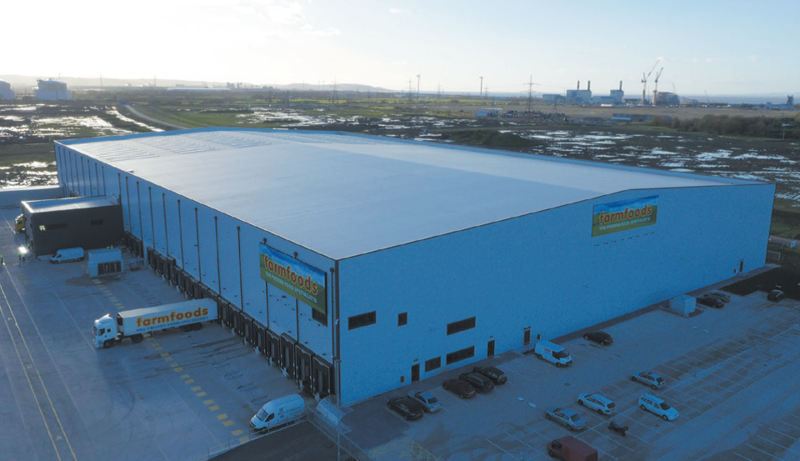 IKO Armourdek is a ‘Zero-Waste’, off-site manufactured long spanning roof element, factory finished with IKO’s Single-Ply Roofing Membrane which contributes significantly to reduced programmes & construction time on site. 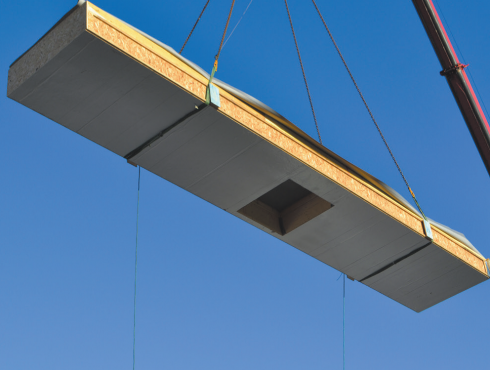 With exceptional thermal & acoustic properties and with single span capabilities up to 12m, this innovative roof panel provides a high performance, fast-track modern method of construction. With less time required working at height, the panel also contributes to a much safer working environment due to the unique nature of the fixing & installation methods. With available panel sizes up to 12m x 4m, installation rates can be as high as 1,000m2 per day. 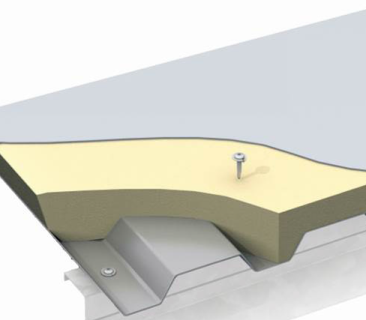 Bearing in mind the panel is supplied complete with VCL, insulation and a waterproofing membrane, this saves a considerable amount of time when compared with the installation methods of other roofing systems. With clients exerting more pressure on main contractors to get the job done quicker, IKO’s unique structural roofing solution combines a safe and fast-track installation which contributes significantly to savings in construction programmes. This can also impact positively from a cost perspective as there will inevitably be reduced prelims across the board. Click here to find more about Armourdek.